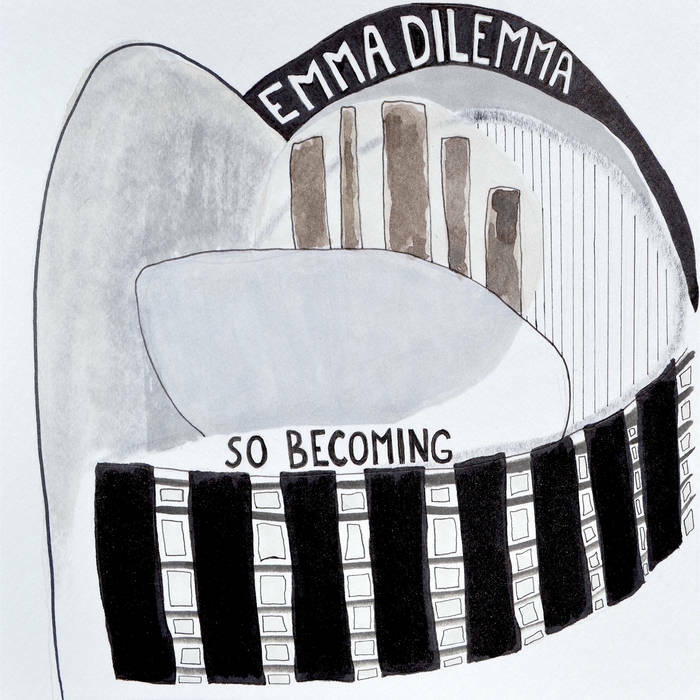 Emma Dilemma's debut album, So Becoming, has a biting wit to it, betraying its punk rock DNA. As one half of the folk punk duo Chicken Little, fans of her work may have come to expect that. However, So Becoming is also an intoxicating blend of indie rock, folk, country, and punk. The blend leads to a strident album whose edges are softened by bedroom vocals and thoughtful string arrangements. The result is an album that goes down easy but will kick you in the gut once you stop to listen to Dilemma's poetry. This is an album to make you stop and consider yourself and your values. At times forthright and subtle at others, So Becoming deftly interweaves the political and the personal with the loud and the soft. Emma Dilemma will be featured on this week's episode of Adobe & Teardrops! Subscribe with your favorite podcast app and support us on Patreon or Ko-fi for an extended cut of the episode!